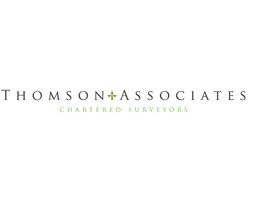 Thomson Chartered Surveyors is an independent and highly professional firm of Chartered Surveyors – based in Manchester city centre since 1983. We pride ourselves on our efficient, prompt and personal attention, and our highly trained staff possess both the knowledge and skill that allows us to provide a truly unique, individual and high quality service to all our customers. We are regulated and monitored by the Royal Institution of Chartered Surveyors, which offers our clients the protection and peace of mind of knowing that all aspects of our work are carried out in a prompt, professional and fully transparent manner. We are a true general practice and encourage a proactive approach to all our work and promote a tailored approach to all our clients. John Thomson heads up the practice and supervises all the professional work, Lorraine Sherratt is the Administration Manager and Christine Wedgewood heads up the Finance and Accounts Section.